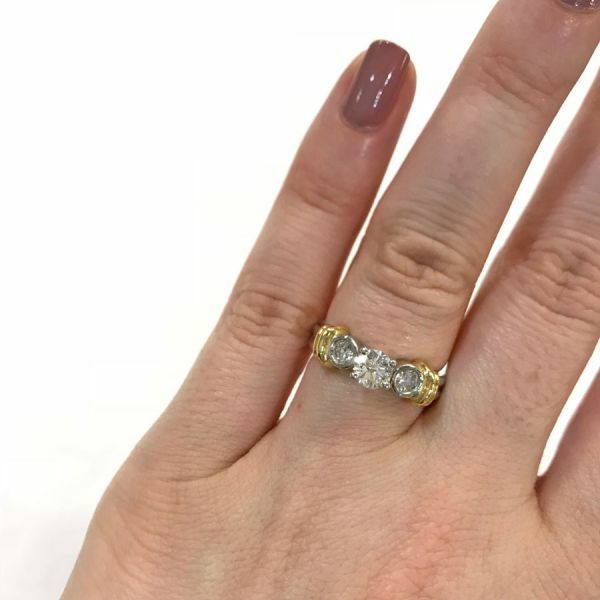 One platinum and 18 karat yellow gold engagement ring. One round brilliant cut diamond (0.41 carats: VS clarity: I-J colour). Two round brilliant cut diamonds (0.26 carats: VS-SI2 clarity: I-J colour).